There are 12 stages in the Callan Method. On the first day, when you arrive at school, you will be given an assessment to test your level of English. After testing you will join your first class. If your class seems too easy or difficult, you can change your level. There is no additional charge to make a change to your course. If there is a difference in the price of the course you want to change to, you simply pay the difference. Any changes are however subject to availability. There is a maximum of 14 students allowed per class. However the average number of students attending on any particular day is 7-10. The minimum enrolment age of our students is 18. Yes, you will receive a certificate stating the length of your course, as well as the stage you reached on completion of your studies. Students are entitled to a holiday of one week for every 8 weeks of study. There is no personal holiday entitlement for courses of less than 8 weeks. In addition to that, the school is closed for two weeks at Christmas, two weeks during Easter and one week in late August. All students must notify the school Office in advance before they take a personal holiday outside of the above dates. Holidays must be booked at least 1 week before the holiday start date, and for a minimum of 5 working days for credit to be given to the student. Holiday requests cannot be backdated. We have taught students from more than 40 countries. At present, the majority of our students come from Europe and Asia. Can you help me find a part-time job? The school is in West London, about 15 minutes from the centre. We have an underground station 2 minute walk away (Stamford Brook) and many buses stop outside. See our Locations page for details of how to find us. How do I prepare for my trip to London? 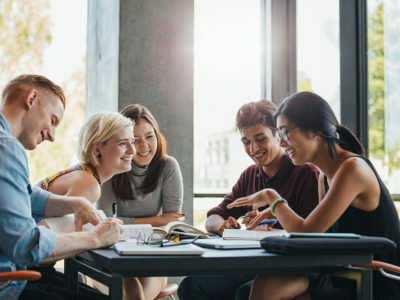 For information on everything you need to know and do before you leave home, as well as advice about your arrival in the UK, settling in, getting organised and making the most of your new student life, please click here for the current British Council pre-departure guide for international students. Can you offer me advice on what to do after my course finishes? Yes we can. When you come to the end of your course we can help you decide what to do next and assist you in understanding the many different options available for further study in the UK, Click here for the British Council’s comprehensive guide to UK education.